Store Shipping Policy | IWI US, Inc.
We currently ship to the 48 contiguous US states, Alaska, Hawaii, Washington D.C., Puerto Rico, Guam, Northern Mariana Islands, The U.S. Virgin Islands and American Samoa. We ship Monday – Friday. USPS orders placed after 10:00 AM (ET) may not be processed until the next business day. USPS orders placed after 10:00 AM (ET) on Friday may not be processed until the following Monday. USPS delivers Monday – Saturday. UPS orders placed after 12:00 noon (ET) may not be processed until the next business day. UPS orders placed after 12:00 noon (ET) on Friday may not be processed until the following Monday. UPS delivers Monday – Friday. We will try to accommodate all orders placed as fast as possible. Please see below for our shipping delay schedule. USPS First Class Mail – This is for orders weighing 15 oz. and under and will arrive with your normal USPS delivery. Tracking information may or may not be provided or updated regularly. Please allow up to 14 days for your order to be delivered. USPS Priority Mail – This will arrive with your normal USPS delivery. Tracking information may or may not be provided or updated regularly. Please allow 10 days for your order to be delivered. UPS SurePost – This service combines the consistency and reliability of the UPS Ground network with final delivery provided by the U.S. Postal Service. UPS will deliver your package to your local United States Post Office to be delivered by the United States Post Office with your regular mail. SurePost will typically take 1 – 3 extra days to be delivered over UPS Ground. For Alaska, Hawaii and Puerto Rico customers using UPS SurePost – Please allow up to 2 weeks or more for your package to be delivered. UPS Ground – Standard UPS Ground service, faster than UPS SurePost. Please see below for the UPS Ground map. UPS 2nd Day Air – Ideal for items you want faster but do not need next business day. UPS Next Day Air – Ideal for items that you must have the next business day. Next day air orders placed after 12:00 noon (ET) Monday – Thursday may not be processed until the next business day. If you place a next day air order on a Friday before 12:00 noon (ET) it will be delivered on Monday. Next day air orders placed after 12:00 noon (ET) on Friday may not be processed until the following Monday for delivery on Tuesday. Second Day Air orders placed after 12:00 noon (ET) Monday – Thursday may not be processed until the next business day. A 2nd day air order placed on a Thursday before 12:00 noon (ET) will be delivered on Monday. A 2nd day air order placed on a Friday before 12:00 noon (ET) will be delivered on Tuesday. All 2nd day air orders placed after 12:00 noon (ET) on Friday may not be processed until the following Monday for delivery on Wednesday. Please use the below shipping maps as a guide and not a guarantee. UPS operates Monday – Friday. USPS operates Monday – Saturday. Please see below for shipping delays. USPS First Class Mail – This will arrive with your regular mail carrier and is for orders weighing 15 oz. and under. Tracking information may or may not be provided or updated regularly. Please allow 2 weeks or more for delivery. USPS Priority Mail – This will arrive with your regular mail carrier. Tracking information may or may not be provided or updated regularly. Please allow 2 weeks or more for delivery. UPS SurePost – UPS will deliver your package to a local United States Post Office who then will provide the finial delivery. Please allow up to 2 weeks or more for your package to be delivered by UPS SurePost. UPS Worldwide Expedited – UPS will deliver your package to your door. USP Worldwide Saver (Express) – The quickest delivery method offered, UPS will deliver your package to your door. For any USPS Shipment: Be aware you may not receive a tracking number. If you do receive a tracking number be aware it may not update regularly. Please allow 10 to 14 days from when your package ships to when you expect to receive it, regardless of the expected delivery date. UPS SurePost: You will have a tracking number from UPS and USPS. The USPS tracking number may not update regularly. From the time it is received at your local post office please allow 1 – 3 days for it to be delivered to you. UPS Ground, 2nd Day Air and Next Day Air: UPS will provide a tracking number and will typically update the tracking as the package moves. You may ship to a P.O. Box if you ship using USPS First Class Mail, USPS Priority Mail or UPS SurePost. If you place an order and have it shipped to a P.O. Box but do not choose USPS First Class Mail, USPS Priority Mail or UPS SurePost we will have to contact you for a different address or change your shipping method. This will delay the time it takes to ship your items and no refunds will be issued for shipping changes. We currently collect sales tax for Pennsylvania (6%) and Connecticut (6.35%) residents. The sales tax applies to all items purchased except for apparel. Sales tax also applies to shipping cost. Please check your local and state laws before you place an order for magazines. It is your responsibility to ensure you follow all local, state and federal laws in regards to possession, sale, transfer and use of any magazines. If you place an order for a magazine with a higher capacity then your local or state laws allow we will cancel your order and refund your credit card. 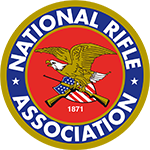 At this time we are unable to make any exceptions for law enforcement or any other parties that may be exempt to the laws however you may be able to obtain magazines using our Distributors or Law Enforcement Distributors. Please click here to see our full Magazine Shipping Policy. We are located in Pennsylvania and may experience inclement weather especially during the winter months. IWI US, Inc. reserves the right to close for the day, delay opening, allow employees to leave early, come in late or stay home in inclement weather or other emergency situations. If IWI US, Inc. is closed, delayed or if employees are unavailable your order will ship as soon as possible. While emergencies and inclement weather days are infrequent they may occur. Spare parts (not including add-on accessories) and magazines are items controlled for export by the International Traffic in Arms Regulations (ITAR). These controls take the form of export regulations and export license requirements. Please contact Customer Service at 717-695-2081 Monday – Friday, 8:30 am – 3:30 pm (ET) or by email at sales@iwi.us for any questions you have regarding our shipping policy. IWI US, Inc. is not responsible for shipping carrier errors or delays. Orders are packed and shipped by hand and even though the greatest care is taken to ensure your order is packed correctly mistakes may happen. If your order is incorrect, damaged or not delivered please contact Customer Service at sales@iwi.us and we will do our best to correct the issue. Thank you. All addresses are checked by the USPS system. If you are contacted by IWI US, Inc. in regards to an invalid address or address error it may delay the shipping of your order. If you do not provide a valid or correct address and your order is returned to IWI US, Inc. you will be required to pay additional postage and provide a different address or your order may be canceled. Any shipping fees will not be refunded. Thank you. IWI US, Inc. may cancel your order if an issue or error occurs. IWI US, Inc. will contact you with any information regarding an order cancellation. Thank you.